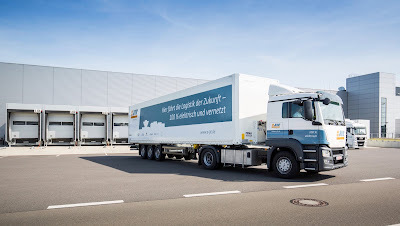 More than 600 trucks arrive at the Porsche plant in Leipzig every day as part of the company’s logistics network. Now the first truck with a purely electric drive is being used between the logistics centre and the assembly supply centre. 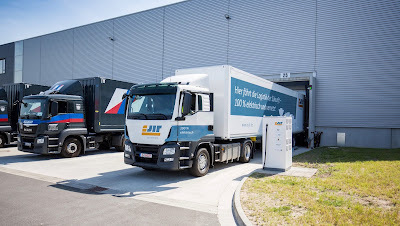 This action is part of the eJIT research project, which involves Porsche Leipzig as well as IAV GmbH, Schnellecke Logistics, Volkswagen Sachsen and the Saxony Automotive Supplier Network. 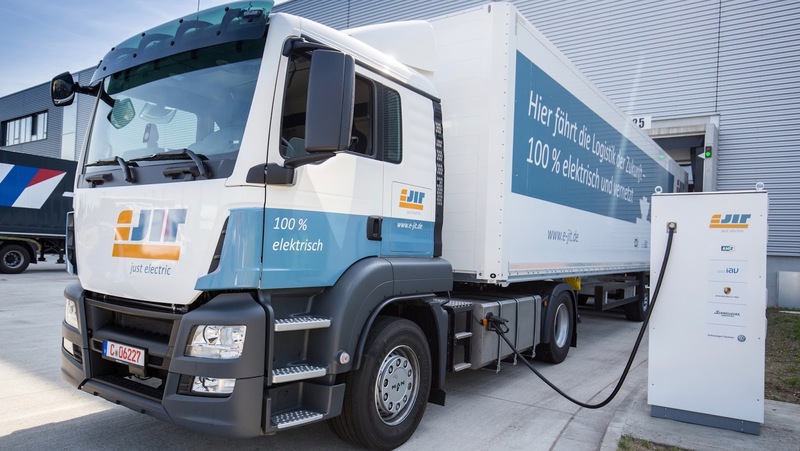 The aim of the pilot project is to test the use of electric trucks under real conditions in multi-shift operation at automotive plants. The electric truck is charged during the planned waiting times while it is being loaded at the supply centre. 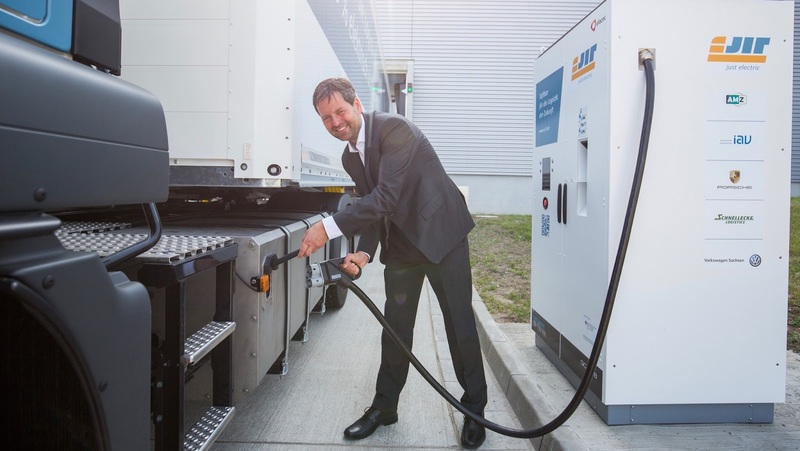 The battery is charged while the process is ongoing using a 150-kW fast charger, enabling the truck to be used in three-shift operation. Once fully charged, the truck has a range of around 70 kilometres and a top speed of 85 kilometres per hour. 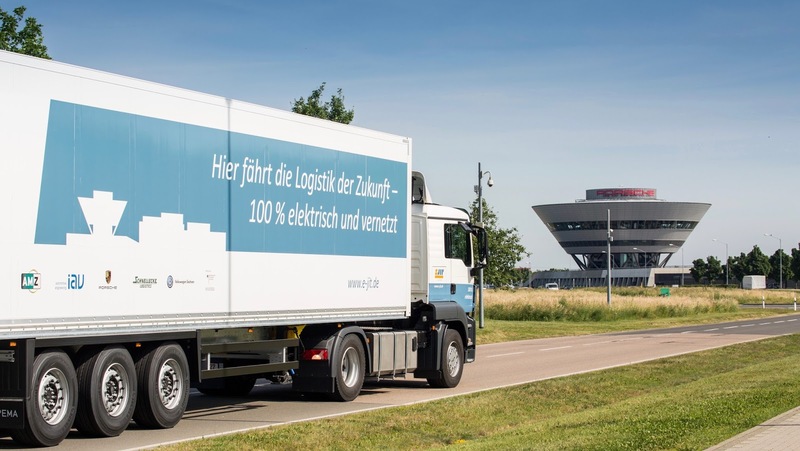 Alongside the project at Porsche Leipzig, a second electric truck is being tested by Volkswagen Sachsen at the Zwickau plant. A second stage of the project is scheduled for the coming year, with the Porsche plant in Leipzig set to operate a highly automated vehicle from 2018 onwards. 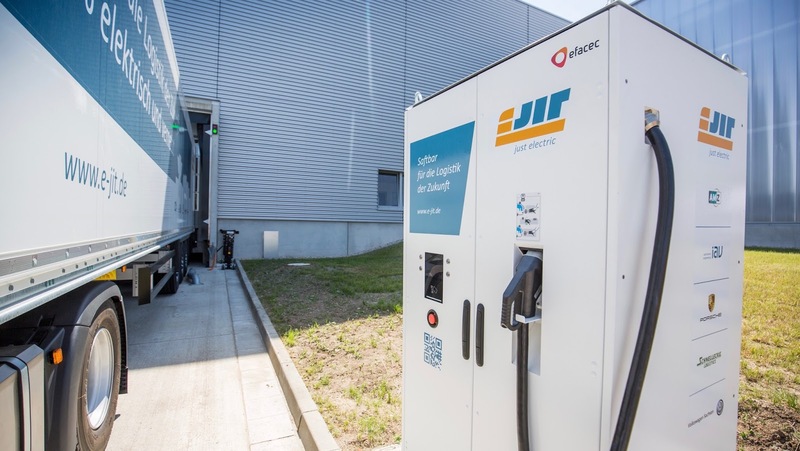 The eJIT project is intended to run for a total of three years. The project partners IAV GmbH, Porsche Leipzig, Schnellecke Logistics, Volkswagen Sachsen and the Saxony Automotive Supplier Network have been working together since early 2016 on the electrification of trucks, with the aim of reducing noise and emissions at automotive sites. The project is part of the technology programme “Information and communication technology for electric mobility III: Integrating commercial e-vehicles in logistics, energy, and mobility infrastructure”, which is run by the German Federal Ministry for Economic Affairs and Energy and is a continuation of the previous research into the commercial use of electric mobility.